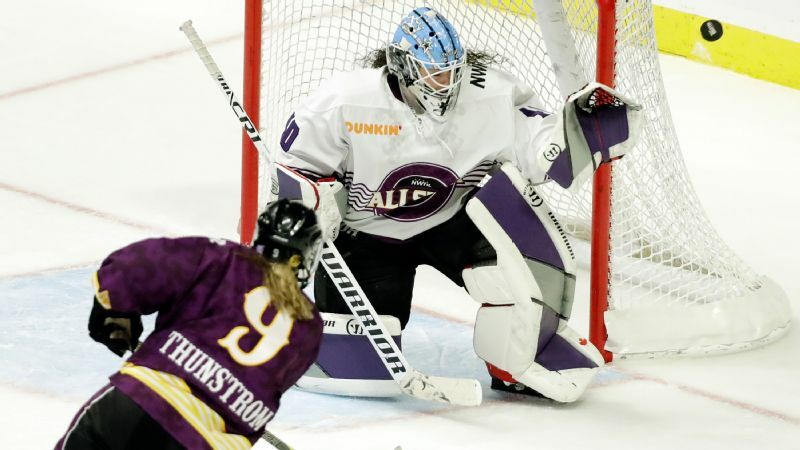 Goaltender Shannon Szabados, named MVP of the NWHL All-Star Game on Sunday, stops a shot from Team Stecklein's Allie Thunstrom. 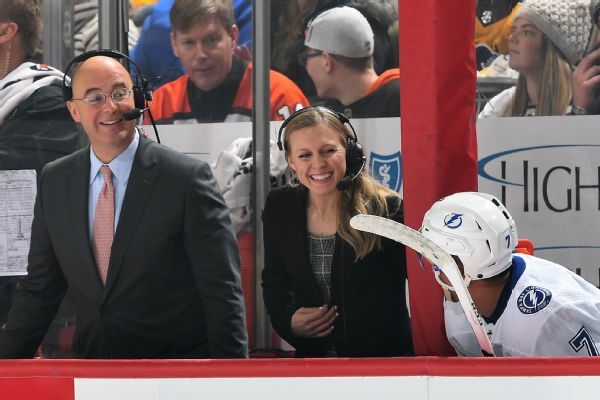 Shannon Szabados came away the big winner at the National Women's Hockey League All-Star Game in Nashville, Tennessee, winning the game's MVP honors Sunday after her Team Szabados beat Team Stecklein 3-2 on Amanda Kessel's shootout goal. Team Szabados also was the winner in Saturday's All-Star skills competition. 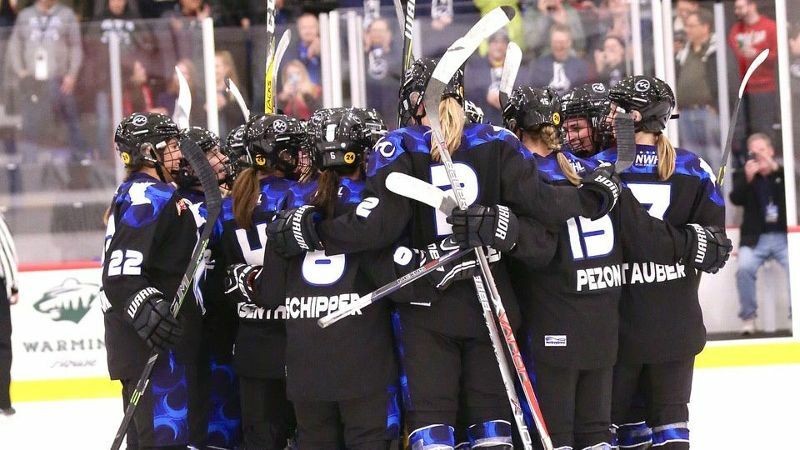 Szabados, of the Buffalo Beauts, and Lee Stecklein, of the Minnesota Whitecaps, served as captains for the All-Star squads. The women took the ice at Nashville's Bridgestone Arena after the St. Louis Blues-Nashville Predators game, won by the Blues 5-4. The crowd welcomed the players by launching a catfish onto the ice just before the opening faceoff, a Predators tradition. Attendance for the game was 6,120, the largest crowd to watch a professional women's hockey game in the United States. Today's #NWHLAllStar attendance is 6,120 - a new record for professional women's hockey in the United States. The teams were tied 2-2 after regulation with Szabados getting a first-half shutout before being replaced in goal by Katie Burt. Burt, who plays for the Boston Pride and practiced Saturday with the NHL's Predators, also made some key saves for Team Szabados, including stopping all three shots in the shootout. 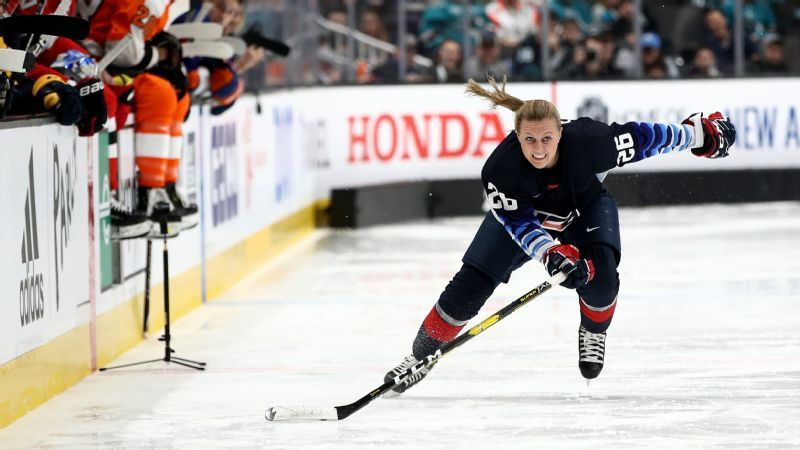 Team Szabados' Audra Richards, leading goal scorer for the Metropolitan Riveters with eight goals this season, opened the scoring at 15:18 of the first half -- the All-Star Game featured two 25-minute halves -- with a hard shot from out in front. 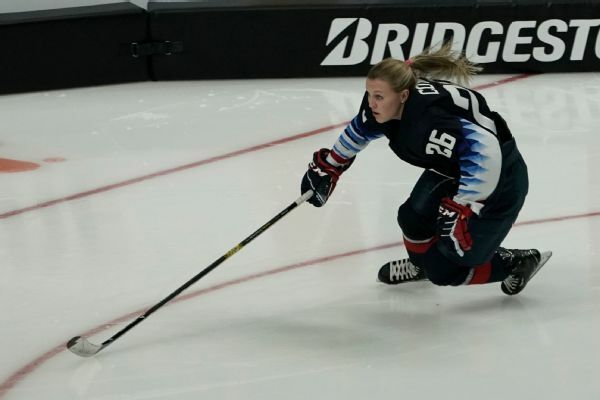 Team Szabados took a 2-0 lead into halftime as Katerina Mrazova, a player from the Czech Republic who signed with the Connecticut Whale, scored. Team Stecklein finally got on the board in the second half when the Buffalo Beauts' Lisa Chesson scored to make it 2-1. Team Stecklein tied it up with a goal from another member of the Connecticut Whale, Emily Fluke, at 13:18 of the second half. Fluke took a pass out in front from Allie Thunstrom to beat Burt, who came in to play goal for Team Szabados in the second half. Burt's glove save on a shot from a hard-charging Hannah Brandt of the Whitecaps kept the game tied with just over two minutes left to play in regulation to help force the shootout.